Developing SSIS packages is quite easy – it’s mostly drag and drop and some minor configuration, which is a really boon for someone who is new to SSIS. However, when it comes to tuning the package, one needs to understand the finer points of each task on the control flow. I looked at the “Keep NULLs” and the “Keep Identity” options earlier, and today I will go over the “Table Lock” option. Because the option is part of the OLE DB destination task, the “Table Lock” option indicates whether the database engine should request a more wider lock on the entire table (i.e. use TABLOCK) rather than trying to get granular locks one each row/page and then follow lock escalation to block the table. Theoretically, when moving extremely large amounts of data compared to the number of records already available in the destination table, the database engine would deem the granular locks (at the row/page level) too cost prohibitive and escalate to the table anyway. In this case, it would be better to specify the wider TABLOCK. Allow me to present a brief demo. Once the table is created, the package “flows” to the Data Flow Task. Inside the data flow, essentially I simply select about 4 times the data from the [AdventureWorks2014].[Sales]. [SalesOrderDetail] table (approximately 485268 rows) using an OLE DB source and pump it to the newly created target table via an OLE DB destination with the “Table Lock” option checked (default). A set of screenshots showing the package configuration described above are shown below. Once the package is executed, I will compare the difference between the OnPreExecute and OnPostExecute times for both configurations of the “Table Lock” option to get an idea of the performance difference between them. While the package is executing in SQL Server Data Tools (SSDT, erstwhile BIDS), I run the following query on the SQL Server to check the locks occupied on our test table. Based on the results, we can confirm that an exclusive Bulk Update (BU) lock has indeed been requested and granted on the table – indicating that the TABLOCK option was used as part of the insert. If I check the locks on the table while running the package with the “Table Lock” option unchecked, I see that either an “Intent Exclusive” (IX) or an “Exclusive” (X) lock have been used. This indicates that SQL Server is actually using Exclusive locks on lower level allocation units (page/row). We can clearly see that the table load with “Table lock” checkbox turned on is comparatively faster. The OLE DB destination task is a very powerful way to load data into SQL Server table. It also provides the flexibility to boost the rate of data insertion when used wisely. This entry was posted in #SQLServer and tagged Administration, Best Practices, DBA, Performance Tuning, Series, SSIS, Tips, Tools and Utilities on October 24, 2016 by nakulvachhrajani. 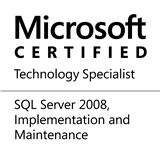 I have been working with SQL Server Integration Services (SSIS) recently. In many ways, SSIS is counter-intuitive if you have been working with the database engine for long (more than a decade in my case). Working with SSIS is more like working with any other .net framework based programming language (C# or VB.net). Over the next couple of days, I will be writing about some of the salient aspects of SSIS which should be kept in mind in case you are working on multiple SQL Server technologies. One of the key challenges for any system integration is to ensure that the enumerations and “default” values used in the source system (e.g. sales statuses, product categories, etc) align between the “source” & “target” systems. Once the values aligned during business, high-level and low-level designs, implementation of this cross-referencing in SQL Server Integration Services (SSIS) is done by a data flow component called the “Lookup Transformation“. The Lookup transformation effectively performs a join between the input data with a reference data set. If values match, they are available in what is called the “Match Output” whereas values that do not match can be made available as a “No Match Output”. However, this comes with a tiny counter-intuitive behaviour that I learnt about the hard way. The lookup performed by the lookup transformation is case-sensitive. The query used to generate the static data in the OLE DB source is provided below. Observe that in the static source data, not all values have a consistent case – some are in sentence case, whereas some are in small case. The screenshots below show the overall setup of the SSIS package. Notice here that we have used the text value from the source data (“RowValue” column) for matching/lookup to the reference data set. The reference Id is fetched to include in output. If a match is found the “Match Output” should contain the matching row from the source combined with the Id from the reference/lookup data. This is seen in the data viewer output below. If a match is not found (which would be the case for the values with lower case in the source data), the “No Match Output” will contain the row from the source data that failed the lookup (since failures were redirected to the “No Match” output in the general configuration). Notice we do not get the Id from the reference because no match to the reference was found. When working with a case insensitive database, we often tend to take data quality with respect to case of the data for granted. Having data with inconsistent case has multiple repercussions (especially with data grouping in front end applications), but the biggest negative impact due to inconsistent case of text data is the inaccurate cross-referencing during a master data cleanup, system integration or data migration exercise. Do take a few cycles in your development to take a look at your data quality, and if necessary, implement required data cleansing to ensure that your lookup data, enumerations and master data are using a case that is correct and consistent with the domain and business requirements. This entry was posted in #SQLServer and tagged #SQLServer, Best Practices, Data Quality, DBA, Debugging, Development, Guidance, Series, SSIS on October 3, 2016 by nakulvachhrajani.